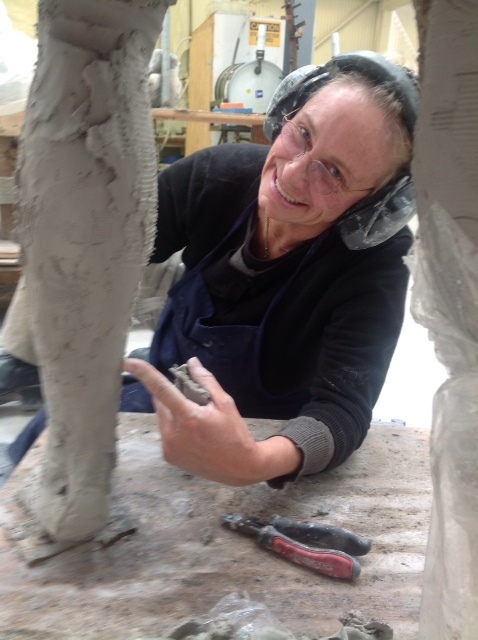 Elizabeth’s passion as an artist is to “translate the language of the body into a three dimensional reality that symbolizes the real essence of the movement, expression and human dignity”. MacQueen’s work seems to defy gravity, whether it is a dancer held in a peak execution of movement, an athlete poised in mid-air or an intense figure about to unfurl. Working constantly for ten years in San Luis Obispo, MacQueen has the honor of being placed in the San Luis Obispo Time Capsule to be opened in 2100. She is also included in the list of important historical woman for San Luis Obispo County. A multitude of pieces were created during this time. She never stopped. 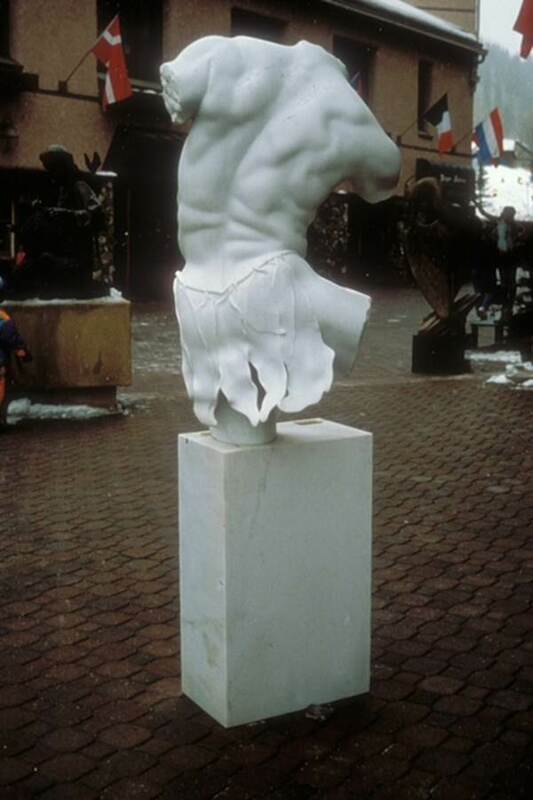 After completing the 34 foot Women’s Basketball Hall of Fame Monument in Knoxville, Tennessee in 1999, she loaded her car and trailer and headed for Quebec, where she and her 10 year old daughter lived an unexpected difficult winter of minus 40 degrees Fahrenheit. There in the foothills of the Appalachians at the base of Owl’s Head, a down hill skiing community on Lac Memphramagog, MacQueen completed the “Chinese Pioneer’s Monument” with Richard Viau completing the mold. The mold was shipped to Artworks Foundry in Berkeley where the bronze was realized. 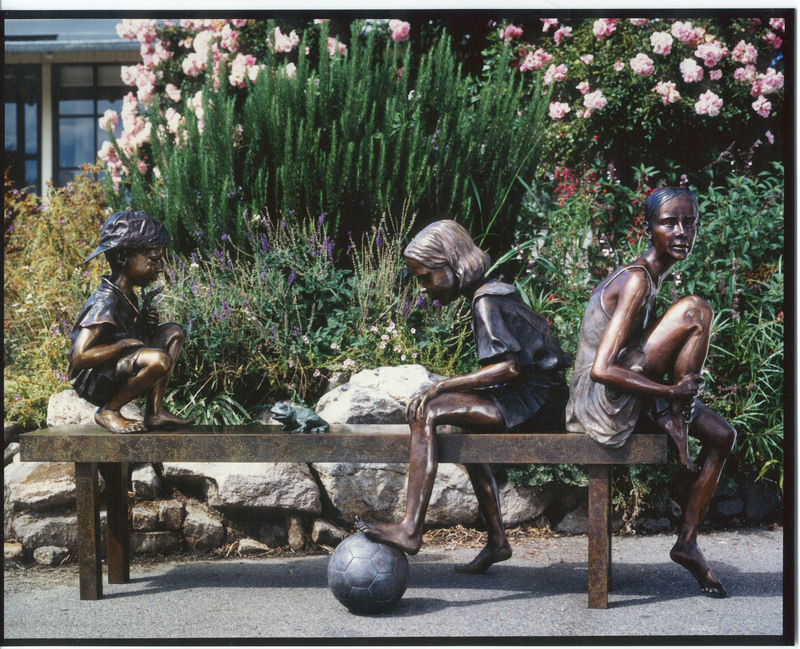 Several months later it was placed on site at the San Luis Obispo Railroad Station, winter of 2001, overseen by Marco Rizzo, head of the ten year committee. 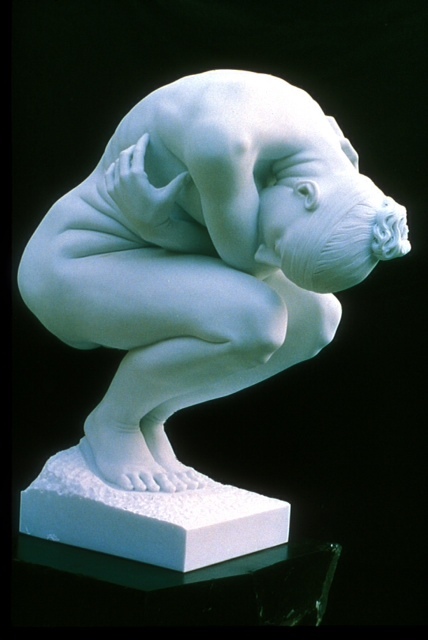 In parallel time her life size, “Mother Love”, was placed in the Women’s Hospital in Nashville, Tennessee. 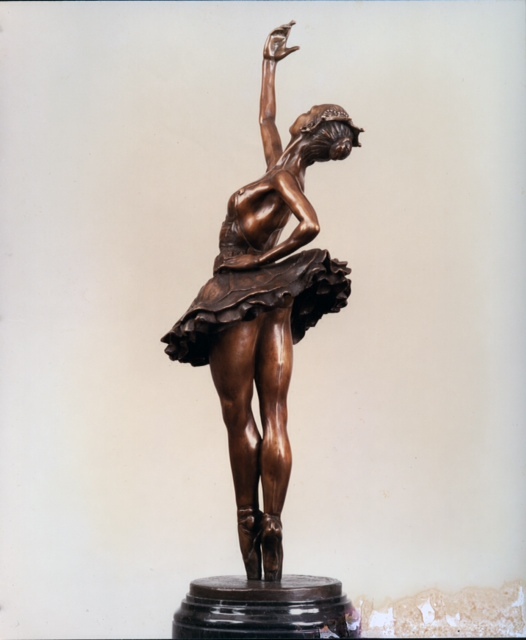 Born in Mountain Brook, Alabama, she studied ballet between the ages of 6 and 18 and began sculpting with Georges Bridges each Saturday. After studying theatre at the University of Alabama and a brief time modeling in New York at LeBann Originals and Fink Bros., Elizabeth moved to California where she stayed with Brian Cole, bass player for the group The Association, and his family. There she studied art and education at Los Angeles City College where she received a scholarship to UCLA. At the University of California she graduated with a degree in Sculpture, Painting and Design. Then, she entered the Graduate School of Education and received two credentialed degrees in teaching and was nominated to the Honor Society.